Let me tell you a secret: Although I often claim I have no friends, I do! A few, but still, they are present and accounted for. One of these friends happened to give me his T61 for extensive, long-term operating system testing, which you've been enjoyed recently, with all the latest-gen SSD benchmarking and quadruple boot setup and whatnot. And now, that same friend has loaned me another one of his machines, for an indefinite period of abuse. This means more fun. The laptop in hand [sic] is Lenovo T400, with a 64-bit T9400 Core 2 Duo processor, an Intel graphics card, and 80GB SSD of the previous generation, but still, an SSD no less. The machine is in near-mint condition, save for some scratch marks and hidden grease. But it's a rather powerful, brand-newish notebook that I will be using for some massive distro testing. Or will I? There's the picture right there. And looking at it, you wouldn't know what model it is, as they all look the same. 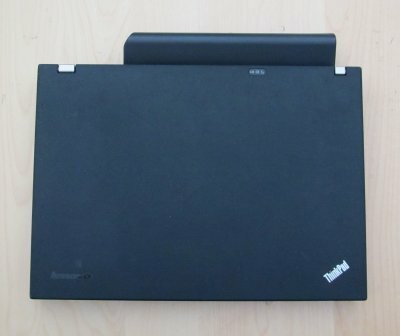 In fact, it's virtually indistinguishable from the T60p or T61 you've seen around. Now, speaking of T60p, I've officially retired that machine, which means that there are no more 32-bit processor computers in my household, save for an eeePC. Well, not true, there's an older T42, but I haven't used that one in a long while and am gently pondering how to make the best use of it. Perhaps install a low-end distro and see what gives? From the purely technical perspective, T400 has a graphics card that is significantly inferior to my Nvidia-powered LG and HP machines, but overall, it is rather similar to the other two boxes. It has a decent CPU that is a little less powerful than the Pavilion, since it has no hyperthreading, and it's no iX generation thingie, but it is somewhat more muscled than the older laptop when it comes to raw processing strength. All three have the exact same RAM, a sweet spot 4GB. Not much, but quite decent overall. What I really like about the system is that it has VT and VT-d extensions, which means virtualization fun galore. And we will be seeing more about this later on, I do promise. For now, though, I am facing a bit of a problem. A conundrum really. Anyhow, the machine comes with an 80GB before-last-gen SSD. As you can see, it was used before, and the SMART utility even reports some bad sectors, a total of two. Not really important when it comes to Flash cells, but still, not sure what it tells us about the reliability of the hardware, in the long run, compared to mechanical disks. You also get a very generic, low-to-mid range Intel Corporation Mobile 4 Series Chipset Integrated Graphics Controller, coupled to the i915 driver, and Wireless-N in the form of Intel AGN 5100 card. All in all, sounds like an interesting bunch of stuff. My big question is: what distributions should I use here? I am planning on a triple-boot configuration, with two static installations and one ever-changing used for distro testing. The setup will be Linux only, much like most of my arsenal. The LG RD510 machines houses one Pangolin, one Lucid soon to be changed to something else, one CentOS, bless him, and one Linux Mint Maya in its high-end gaming setup. The more mighty HP notebook runs only two operating systems on its 7,200rpm internal disk, one Windows 7 and one Lucid, again soon to be upgraded to Ubuntu 12.04. However, there's also a 640GB external disk with six or seven other operating systems available, many in a dire, happy need of upgrades and refresh. Then, the T61 machine comes with four boot options, with Ubuntu, Kubuntu and Mint as permanent options and one slot for tests and reviews. For some reason, I happen to be fixated on number four when it comes to distribution deployment. A recurring theme, that one seems to be. Hm, yes. Anyhow, there are several other boxes lying around, but they are irrelevant there. And let's leave the desktops and the netbook out of the equation for now, too. Yes, another one. It's excellent and supported unto eternity. CentOS comes with the unshakable RedHat pedigree, and it probably is the best platform for virtualization testing, especially with KVM, but also others. 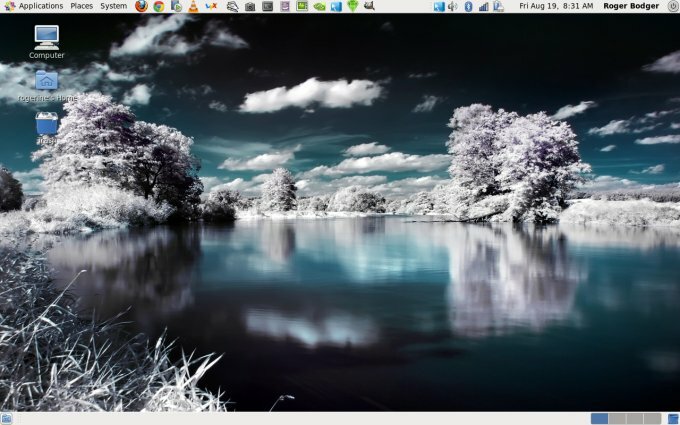 Yes, yes, you'd be surprised, I'm mulling using an Xfce distro, go figure! Crazy, I know! 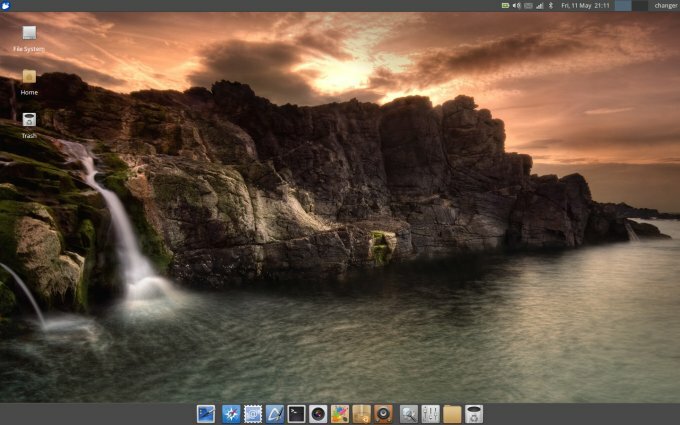 But I was immensely pleased with Xubuntu, and it offers an excellent compromise between old and new school usage models, plus you can have modern looks if you want. Now, comes the interesting part. Do you have any distributions you would like to recommend? Now, I must ask you to think carefully before sending your suggestions. Do not just forward your favorite choice and ignore everything else. Think of the wider popular, global use, generic scenarios that comprise the bulk of modern computing. For example, I doubt I will ever want to deploy Gentoo or Arch or similar in my production setup, so there's really no point. You should aim for big players, or at least, heavily supported ones. Potential candidates probably include Mint, SUSE, maybe Fedora, maybe some other distributions that I can't think of right now. Should be fun too, which means that I can have proprietary stuff at the end of the day. Something like that. So what do you think? Now comes the best part. Before committing to any one specific operating system, I started experimenting with this machine, to see what kind of results I would get from initial usage in the live session. First, I fired up Zorin, which happened to be the weekly distro on my USB drive, undergoing testing. For the first few minutes, everything seemed to be okay. But then, problems started to crop up. The Wireless network would start disconnecting, on and off. This would be accompanied by a lot of ugly system messages, reading about MAC going to deep sleep and other filthy errors. As it turns out, there's a bug in Intel AGN 5100 on Linux, when you try to connect to a G-capable router. Does not seem to happen on N-capable devices, supposedly. Maybe. The solution is to disable the N protocol in the Wireless driver. The exact command to do that will slightly vary between distributions, but it comes down to editing the driver options. All commands should be run as root or sudo. After that, reboot your system. For most people, the reboot is easier than stopping the network and unloading and loading the network module manually, and such. This should get your network back on track. But that's not all. A much bigger problem was with the mouse cursor. It would randomly, erratically stall, slowing down to a crawl with a huge inertia setting that remained regardless of how I tried to change the mouse settings When this happened, the CPU usage would spike to almost 100%, with top hitters being the kworker threads on each of the cores. Moreover, the entire desktop would turn sluggish and unresponsive. I repeated the testing in Linux Mint, Xubuntu and CentOS, with exactly the same results in all cases, fully repeatable. With these big problems lurking about, I was unable to get any one of these distributions to run well, let alone install. Then, I also realized I was not in the mood to troubleshoot stupid problems. So I gave up. The laptop is going back to its owner. I'm sorry to say, but with its crappy graphics and Wireless, it's simply unusable. I could blame Linux of course, but then, that same Linux works fine everywhere else. Moreover, my other machines with N-capable cards are running just fine, since they happen to have other devices. And let's not even mention the graphics card. You know what I think about non-Nvidia cards, or non-Nvidia drivers. You've seen what happens with Nouveau. My friend had the best of intentions, and so did I. Truly, I was hoping for a fun run with this new box, expecting a whole range of exciting tests and tweaks and new tutorials for you. Alas, it's not meant to be. I will see if I can force my friend to give up any other of his machines. Well, if not, it's been an interesting exercise, and thanks for all the fish. Wait, in fact, I will do one or two things with this laptop, but it's something crazy. You'll see soon. And finally, you need not send me any of your suggestions, unless you really want to. That would be all, fellas.